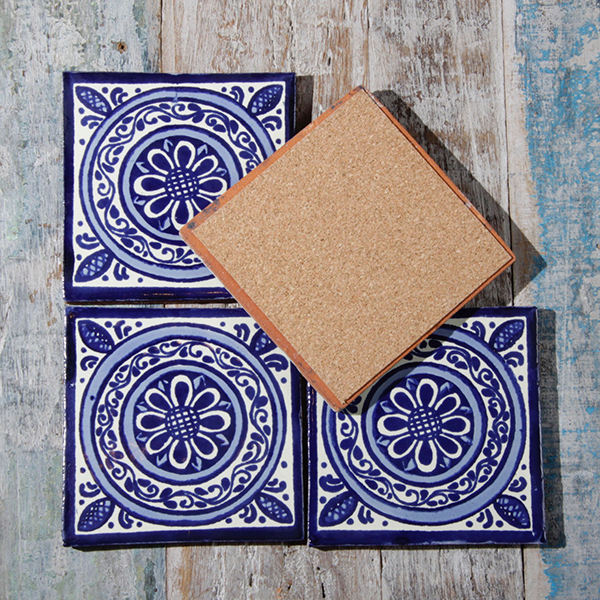 This set comprises of 4 handmade Mexican tile coasters with cork backing to protect your furniture from scratching. 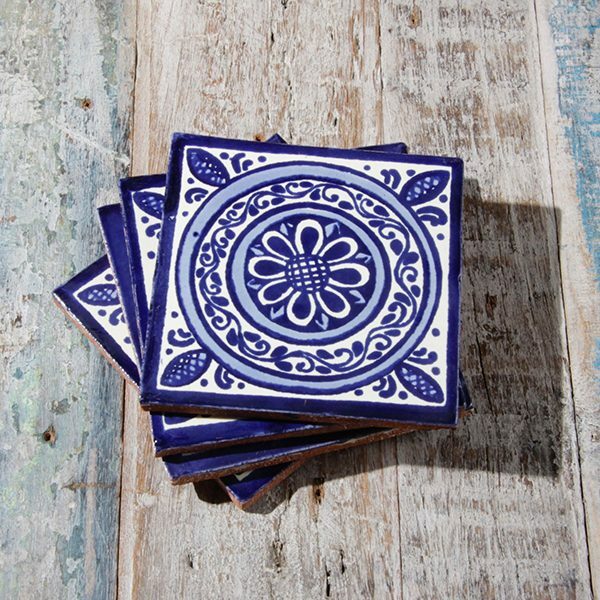 Each coaster measures approximately 10.5 x 10.5cm. 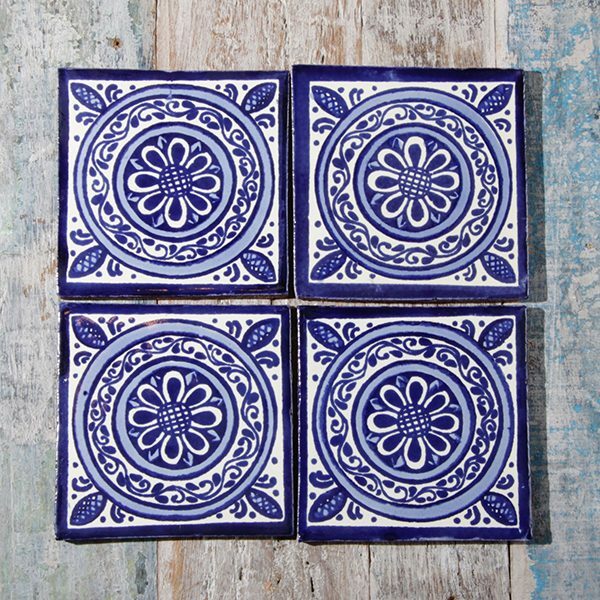 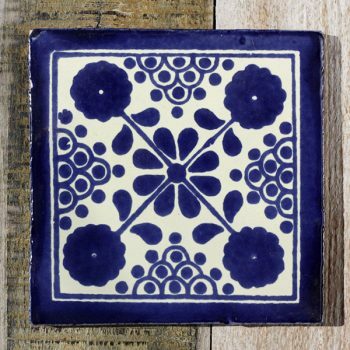 We have been importing these Mexican tiles direct from Mexico since 2001. 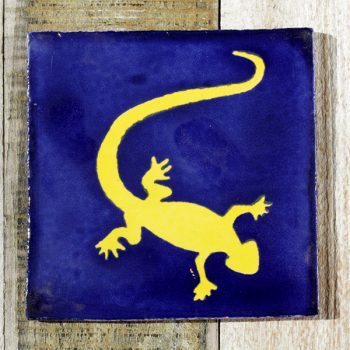 They are handmade from terracotta clay then the design is screen printed in many layers on to the base colour. 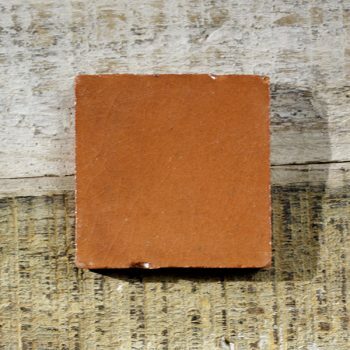 Tile size is approximately 10.5 x 10.5 x 0.7 cms.